Shortly after winning the gubernatorial race in October of 2018, Witzel defended the idea of using military police snipers in helicopters to kill armed aggressors. RIO DE JANEIRO, BRAZIL – The governor of Rio de Janeiro, Wilson Witzel, defended once again his shoot-to-kill attitude when it comes to criminals. The governor has compared criminals and drug traffickers as ‘terrorists’ who have to be stopped. 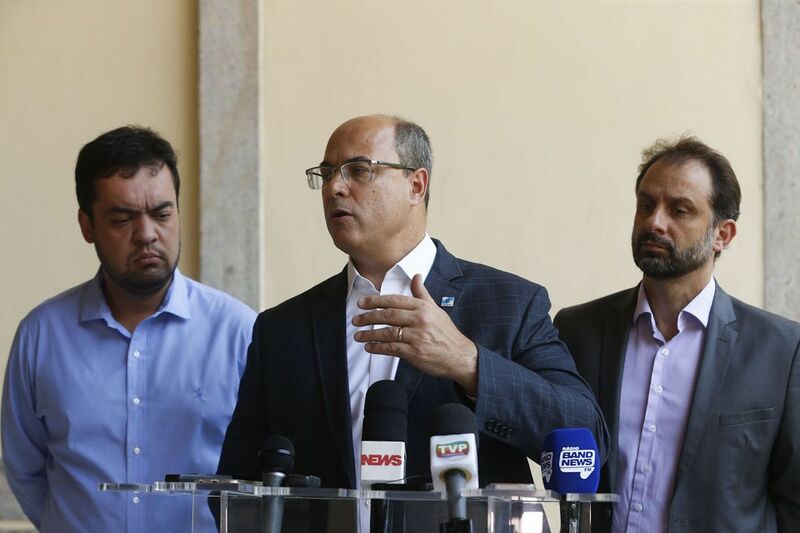 Rio de Janeiro governor, Wilson Witzel talking to reporters, photo by Tomaz Silva/Agencia Brasil. “If it is necessary to face the cruelty of these enemies, true narco-terrorists, use all the force necessary to kill them, because using firearms against society we will never admit,” in a speech on Monday given at the ceremony to introduce Rio’s new Special Police Battalion (BOPE) commander. In the speech, Witzel thanked the participation of the Armed Forces during the federal intervention and that the members of BOPE are examples for Brazil. “A group that is constantly facing death, but does not fear it. We are equipped, we are trained and we are going to rescue the freedom of our people,” said Witzel. The governor went on to say that his administration would free the people ‘from the clutches of people who are banalizing human life and ignoring the Democratic Rule of Law’. Last week Witzel, who in a surprise victory won last year’s gubernatorial seat in Rio de Janeiro, said that his government would overcome organized crime, using ‘all means to do so’. “We will not allow organized crime to continue barbarizing our society, we must act with rigor, we are convinced that we are going to win organized crime, the state is stronger, we will use every effort and means to annihilate and stifle organized crime,” the governor told reporters.